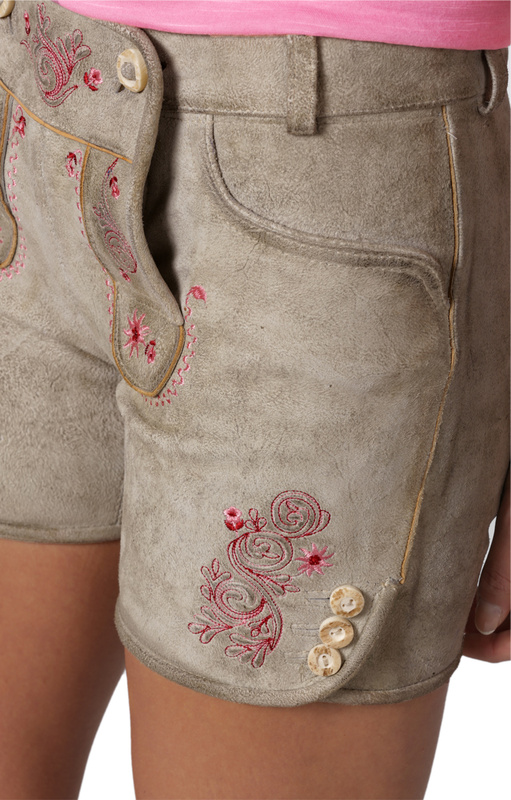 Charming smoky suede leather with pink accents. 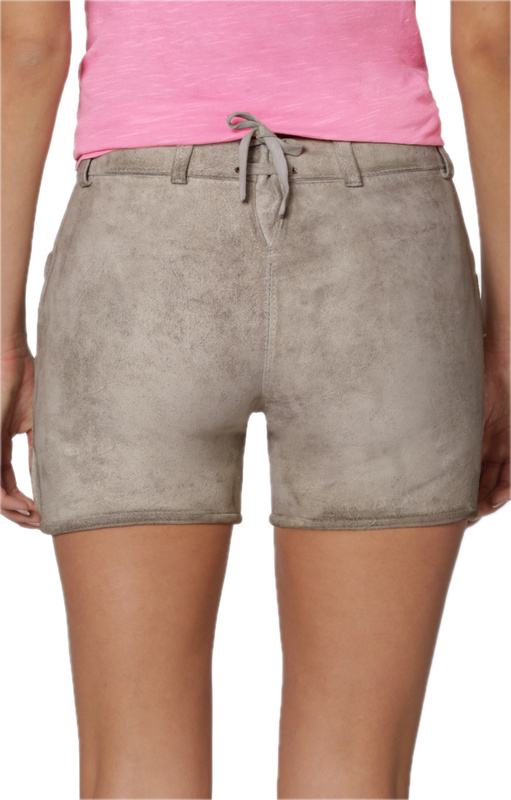 The premium, authentic suede leather on these shorts could never fail in making you look gorgeous for the festival. 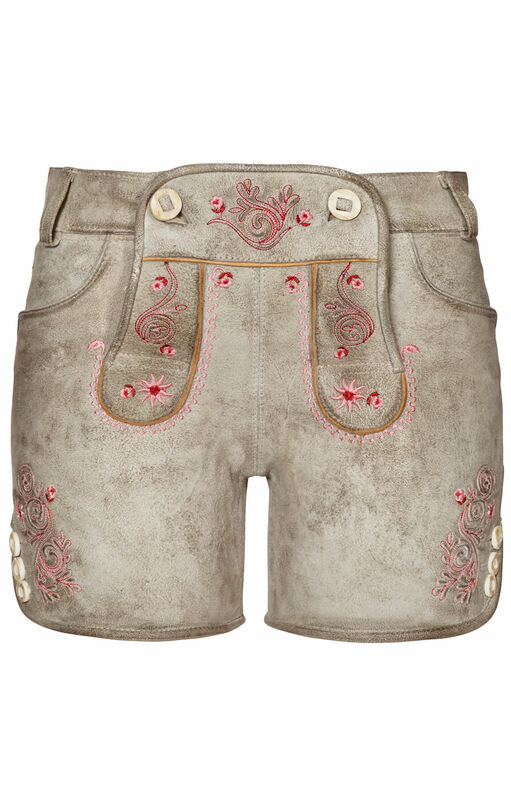 But while they have some traditional elements, like the superb edelweiss embroidery adorning the bib and thighs, or the delightful faux deer horn buttons that hold these figure-hugging shorts together, they also make a brilliant casual outfit. 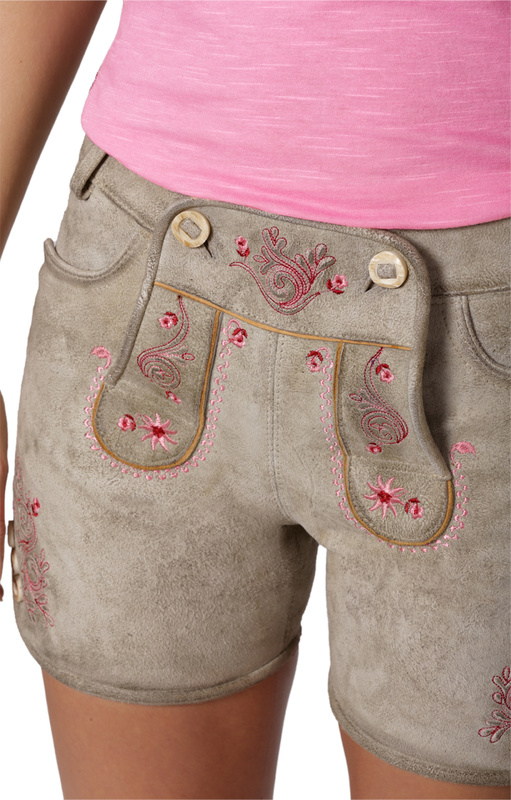 Just match them with a Lena pink T-shirt and a pair of booties and you’re ready for an evening out. But they’re not just eye-candy. The bib unfastens to reveal a secret love message, and the pockets could easily hold some small essentials and change.